EME becomes official supplier of the cycling team of the two-time UCI World Champion Peter Sagan. This new agreement establishes a partnership two years and marks the union of two different realities but with the same ideals. “Health, passion and progress” are in fact the three core values of the BORA – hansgrohe and perfectly reflect the identity of EME. The protagonist of this agreement is Polyter Evo, an innovative portable modular device. Polyter Evo can count on five state-of-the-art electromedical technologies: endodiathermy (tecar), lasertherapy, electrotherapy, magnetotherapy and ultrasound. Innovation, portability, completeness and the battery operation make Polyter Evo the ideal device for sports physiotherapy. The tecar is surely the ideal technology for the team: used both for pre-race muscles warm up and post-race recovery. Thanks to the athermy modality, that means making treatment without generating heat, you can immediately work on injuries and fatigue by greatly accelerating recovery times, thus maintaining performance at the highest level. That’s why Polyter Evo is accompanying the BORA – hansgrohe during the Tour de France 2017 and will continue to do so for all other competitions for the next 2 years. The tour started last July 1 in Düsseldorf and ends on July 23 at Montgeron / Paris Champs-Élysées. 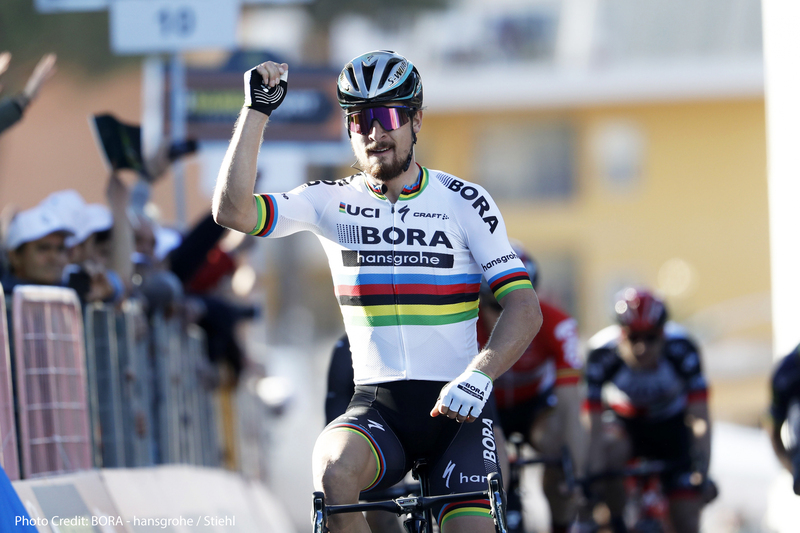 The team BORA-hansgrohe has already taken the first win thanks to UCI World Champion Peter Sagan who has become the protagonist of the 3rd stage! 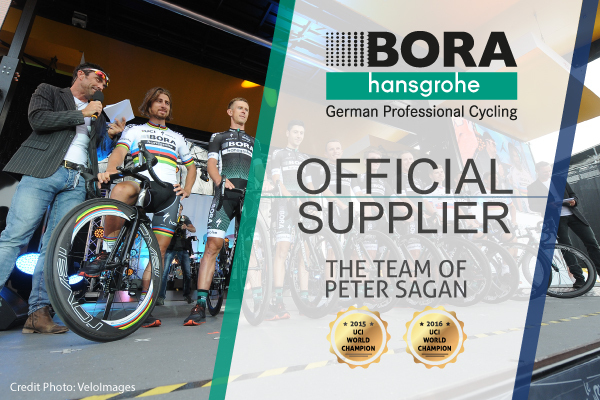 BORA-hansgrohe can count on numerous national and world championships, and over the years has been protagonist of many competitions: Peter Sagan (UCI World Champion), Gregor Mühlberger (Austrian National Champion), Juraj Sagan (Slovak National Champion), Marcus Burghardt (German National Champion).